Separating the poster in two and using the bottom half for a reflection that reveals another version of the character seems to be a popular design choice these days. Outside of these two posters we also had the poster for The Life Before Her Eyes, which went in a similar route. 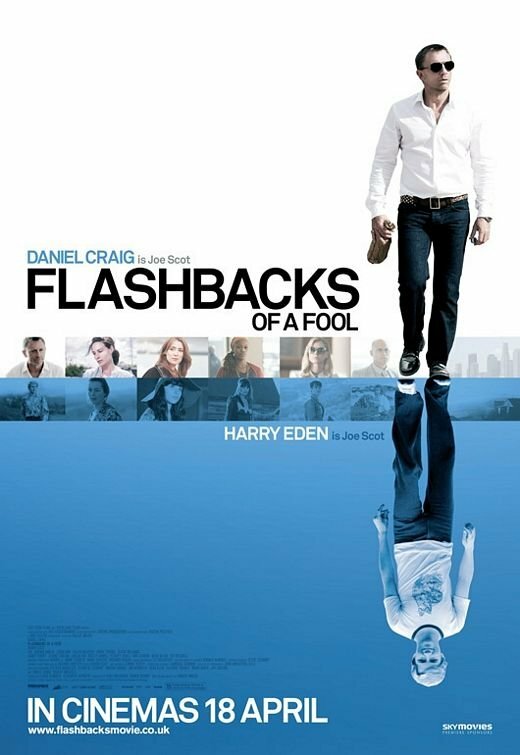 Of course, in the case of the posters above what is striking isn’t just the similar concept, which is actually a bit different since the one for Flashback uses the reflection to showcase the younger version of the character while the one for Leaves just shows a different version of the same person, but also the general visual resemblance. I think that the poster for Leaves is the better one, mostly because it has less fat allowing the focus to fall squarely in the main concept. Secondarily, I prefer the strong green, strong black and white color scheme better than a like the similar but bluer scheme of Flashback, and making the poster work with either side up is a neat idea. 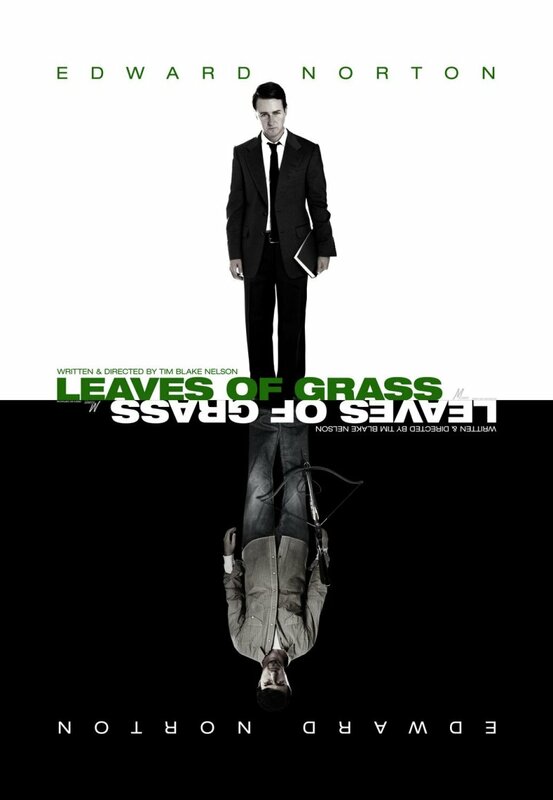 Is it turns out in Leaves of Grass Ed plays twins, so it’s not really two versions of the same character. But still, same diff, right? Right? let’s not forget last years SPIDERMAN 3 poster with spiderman venom perched on a ledge and spiderman’s reflection in the windows.